ii. Verify by calculation that this root lies between 1 and 2.
with initial value x1 = 1.8, to determine this root correct to 2 decimal places. Give the result of each iteration to 4 decimal places. We are required to show that there is only one root of the following equation by sketching. 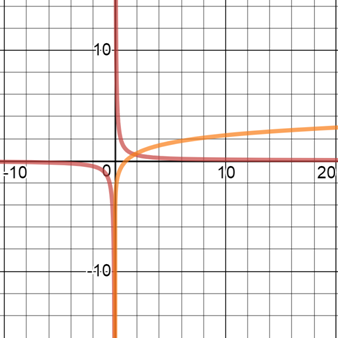 Root of an equation is the x-coordinate of a point of intersection of the graphs of and . But we are required to show that there is only one root of the following equation graphically. Therefore, first we sketch . We know that graph of is as shown below. Next, we need to sketch graph of . We know that graph of is as shown below. Sketching both graphs on the same axes, we get following. 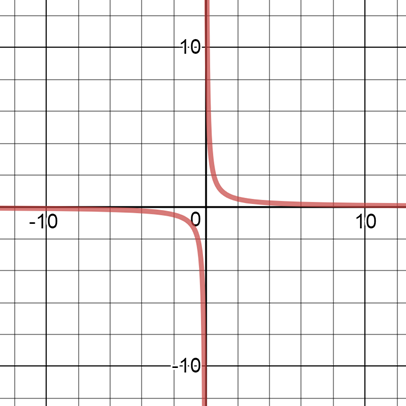 It can be seen that the two graphs of and intersect each other at only a single point, therefore, the equation has a single roots and at a single value of . We are required to verify by calculation that the only root of equation lies between 1 and 2 radians. We need to use sign-change rule. To use the sign-change method we need to write the given equation as . If the function is continuous in an interval of its domain, and if and have opposite signs, then has at least one root between and . 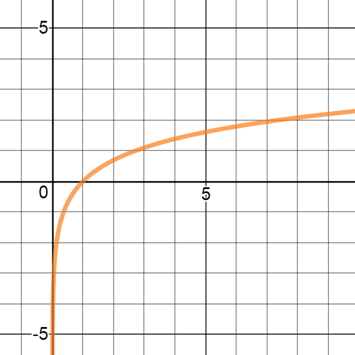 Since and have opposite signs for function , the function has root between and . If we can write the given equation and then transform it to , then both will have the same root. Therefore, if the given equation can be rewritten as , it is evident that roots of both will be same. Since given equation can be rewritten as , the root of will also be root of . We have already found in (ii) through sign-change rule that root of the given equation lies between and . We use as initial value. It is evident that . Hence, is a root of . The root given correct to 2 decimal places is 1.76.